Blackpool’s famous Pleasure Beach is the perfect place to spend the day on your hen weekend. It has plenty of stomach churning rides such as the Avalanche, Revolution, Valhalla, Big Dipper and of course the Big One. Blackpool Pleasure Beach is one of the best amusement parks in Europe and we guarantee you will be screaming with excitement (or fear!) as you take on some classic rides as well as the very latest in white-knuckle roller-coasters. As well as the adrenaline charged rides there are also plenty of fun stalls, shooting galleries, the famous Fun House and you can’t leave without having a spin on the Dodgems. You can also enjoy exciting stage shows such as Hot Ice (a spectacular ice show) and Forbidden (a bizarre and exotic show for adults). 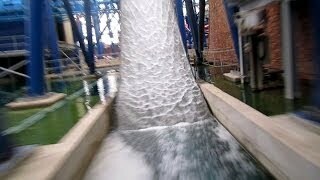 View our Pleasure Beach £30 video and get an idea of what to expect on this activity.